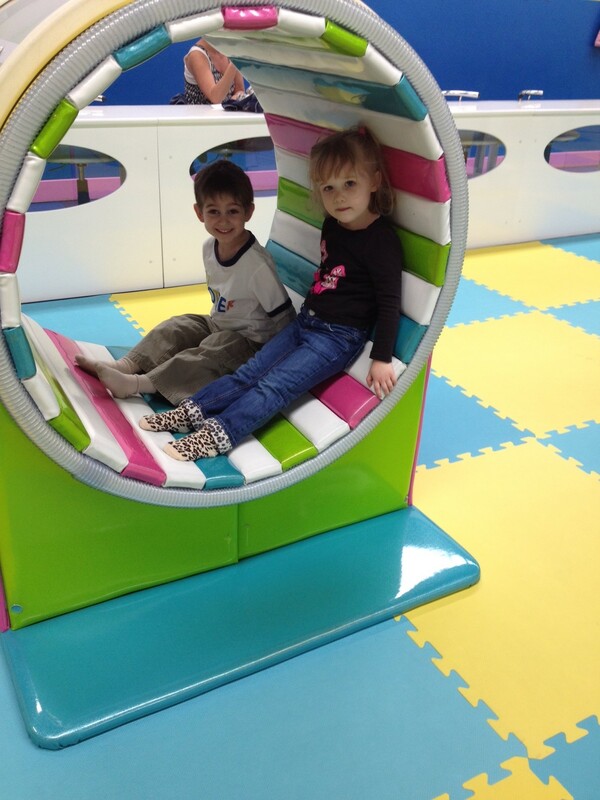 Yesterday I had the privilege of taking my kids to Yu Kids Island Chicago for a play date. I had never been there before but a friend of mine had told me about it and how much she enjoyed it, so we decided to go together. I’m so glad we went because our children had a lot of fun and my son is already asking to go back! 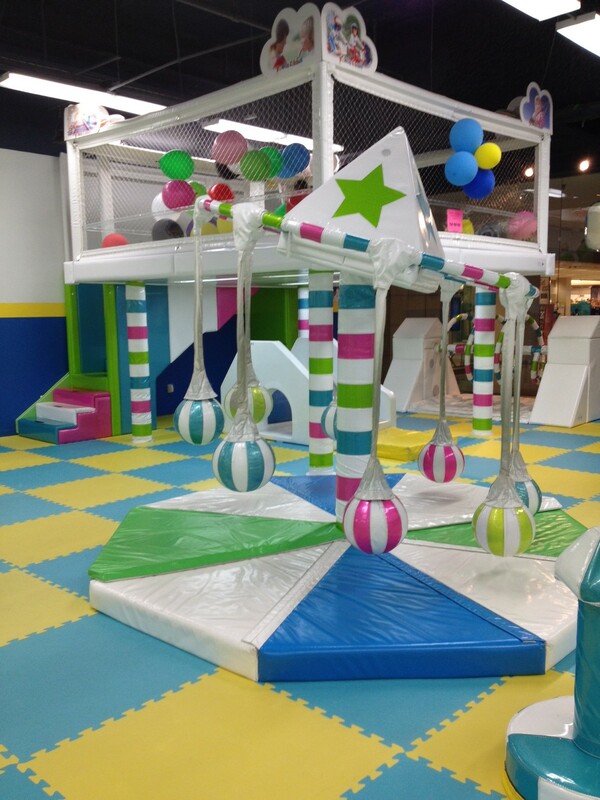 Yu Kids Island is a play area inside two of our local malls. You do have to pay admission to get in, but it’s good from opening through closing time; you can leave and come back later, if you wish. You can check out the admission pricing here. 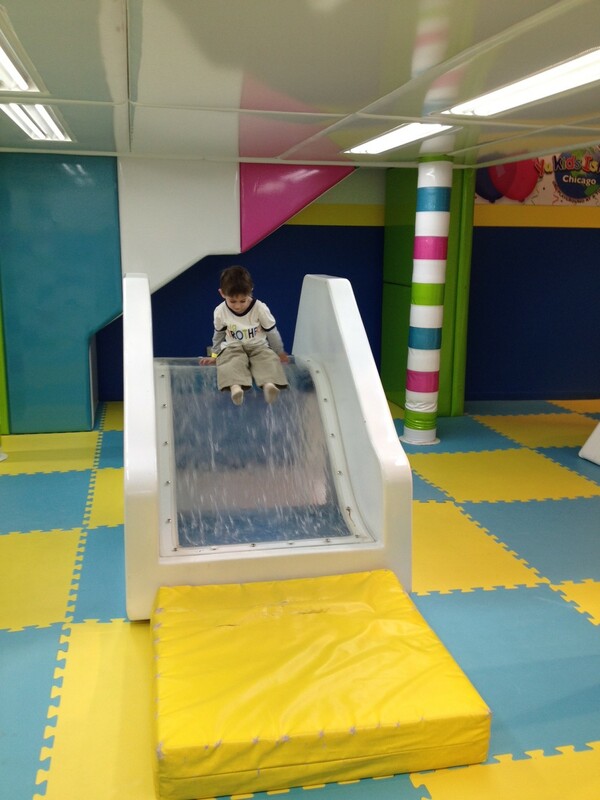 What I liked about Yu Kids are the unique play areas for the kids. 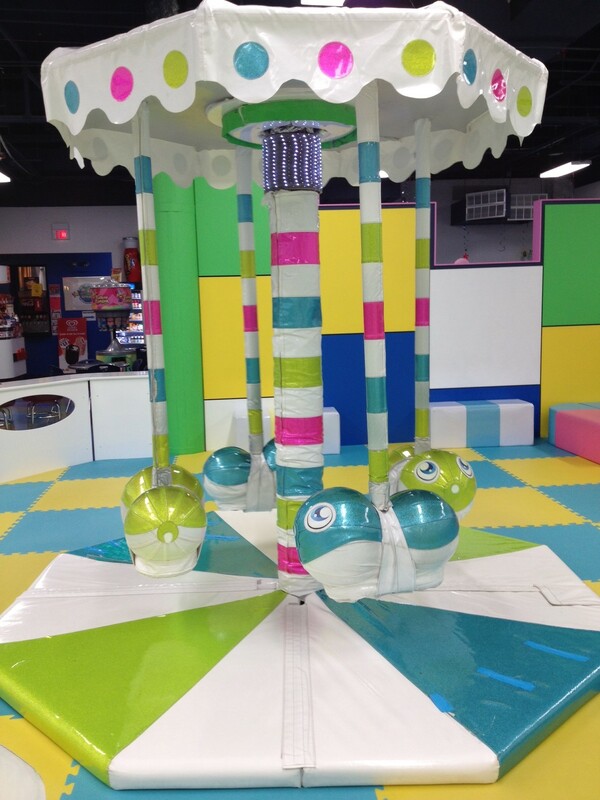 There are multiple moving features, such as 3 small merry-go-round type rides, 2 little poles with a base the kids stand on and it spins around, and a spinning tunnel the kids can sit in and/or crawl through. There were also a couple of unique climbing features and a slide that had water going through it (underneath the plexiglass). 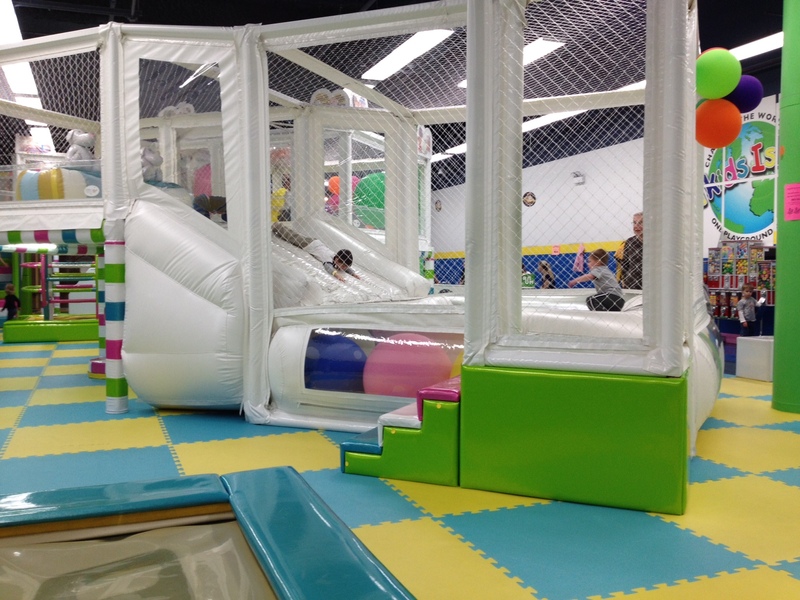 But, I think one of my sons favorite features was a large enclosed play area that was like a big bouncy house. 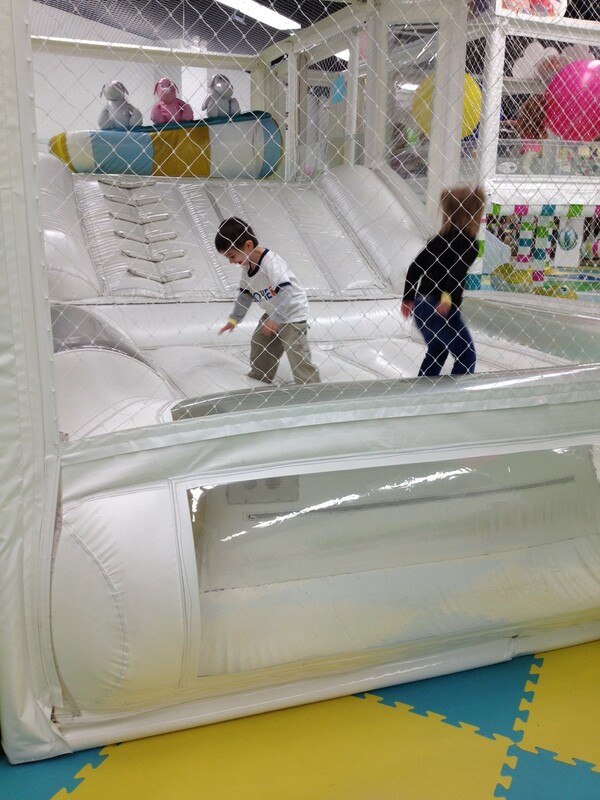 It had a large slide and an area up higher that had huge balls in it the kids could play with. 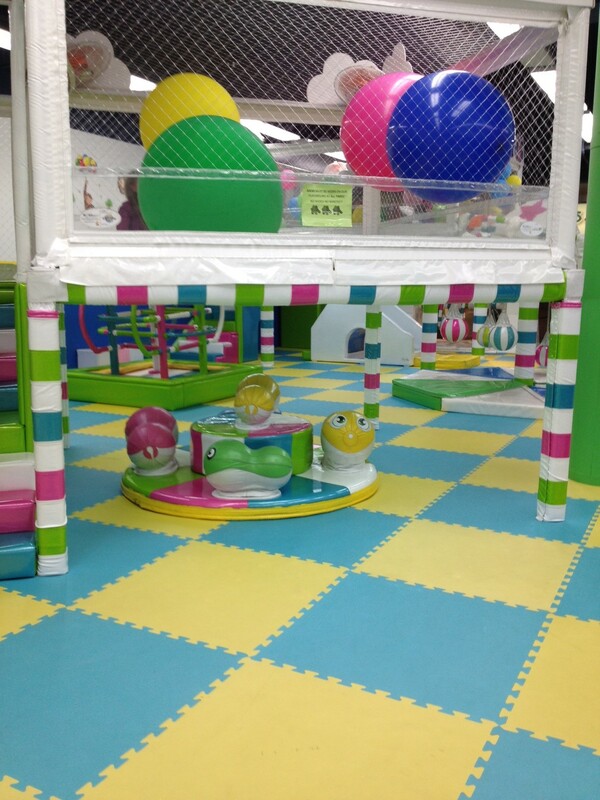 There was another area that had a high spot the kids could climb to and it was filled with large balloons. 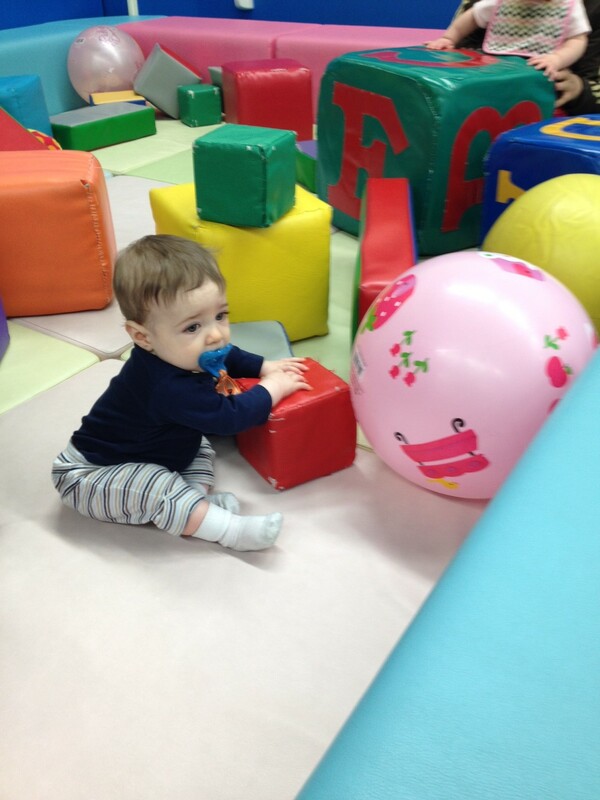 The kids really enjoyed hitting the balloons around. 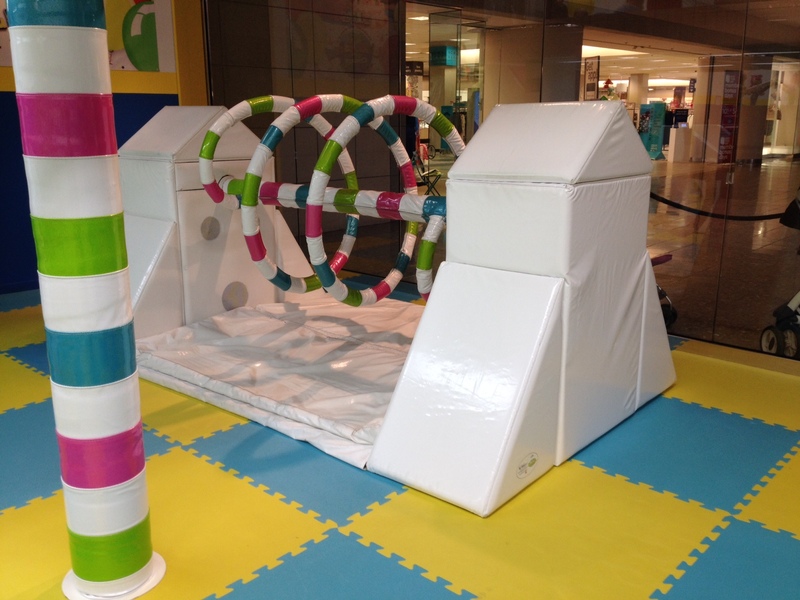 There was also a small play areas for babies and toddlers and a water mat that was kind of like a water bed. 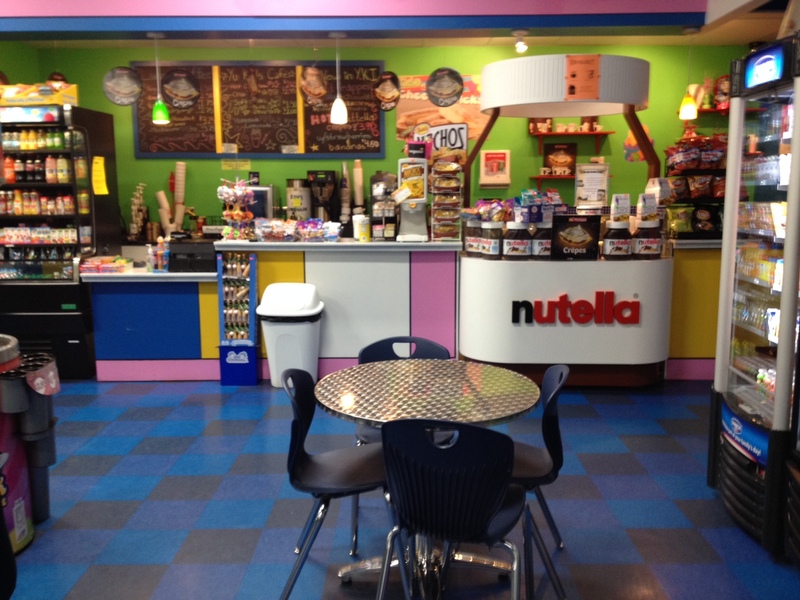 You are not allowed to bring outside food or drinks into Yu Kids but they do have a snack area where you can purchase a variety of drinks and snacks. However, it is not at all food allergy friendly. There were many items containing peanuts, tree nuts, and other allergens as well. 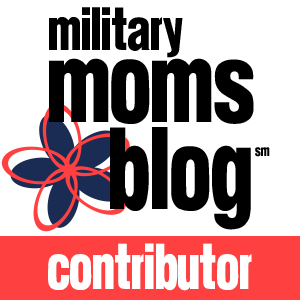 My three year old has severe food allergies so we did not purchase any food items at the café. On a more positive note though, Yu Kids was very clean. Not a speck of dust visible! 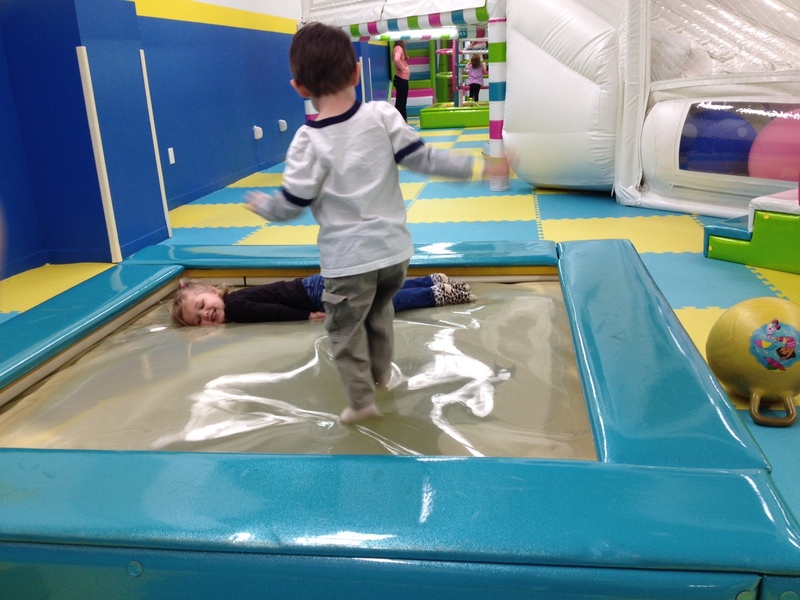 The employees frequently wiped down all the equipment the children were playing on. The employees were also very friendly and would come into the play area from time to time to help the kids and play with them. Overall, it was a very enjoyable experience and we will definitely be going there again.